In China, local homo-PP prices have witnessed additional decreases so far this week. Import homo-PP prices, on the other hand, have retained their strength for another week after stabilizing at their highest levels since early March, according to weekly average prices on ChemOrbis Price Index. 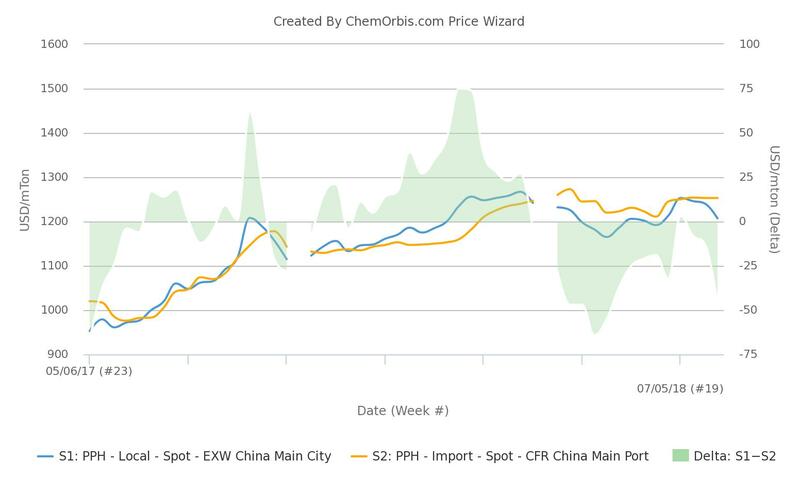 As the below graph created by ChemOrbis Price Wizard shows, the weekly average of local homo-PP prices in China have been offering a more competitive edge than imports since late February, which corresponds to the end of the Chinese New Year holiday. Data indicate that local homo-PP prices are currently traded around $45/ton below the import market, the largest discount since end-March. The local homo-PP market has maintained its softening trend so far this week in the face of weak demand amid the low season. Despite a daily increase, PP futures on the Dalian Commodity Exchange fell by CNY152/ton ($24/ton) on the week as of May 29, also weighing on local sentiment. 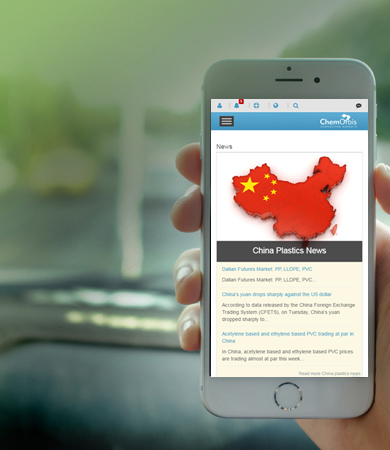 When it comes to the import homo-PP market, prices have remained mostly stable this week as sellers preserved their firm stance mainly due to limited availability and strong propylene prices across the globe. A major Saudi producer announced its June homo-PP raffia prices to China with $20/ton increases on a monthly basis. “The producer remains firm on its PP offers considering limited supplies,” an agent of the producer commented. A South Korean producer also lifted its import homo-PP raffia offers to China by $10/ton when compared to two weeks ago.